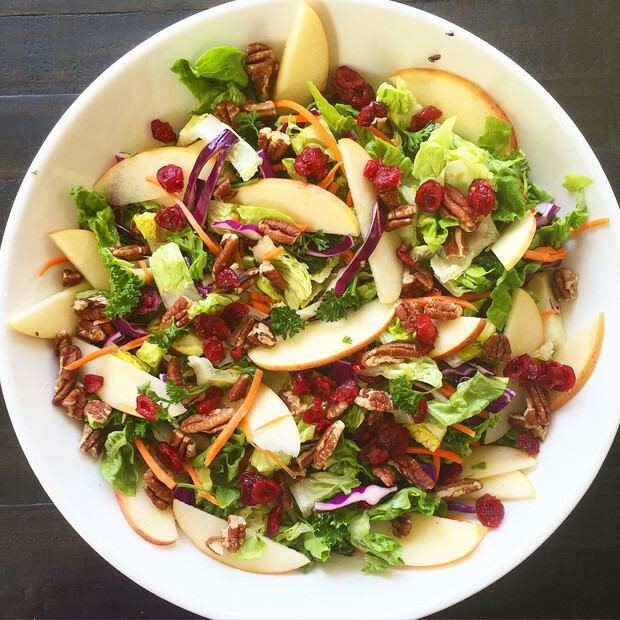 When your loved one calls you on a Wednesday afternoon and says they’re just going to eat an apple for dinner, you make them an Apple Pecan Cranberry Salad. When you and the one you love sit down and both enjoy this salad together, you decide to put it on your blog because, yes it was THAT good. Disclaimer: The aformentioned loved one hated the parsley… But I felt it was necessary and I stand by that decision. Dinners should never be dull! You can eat light when you feel it’s necessary but always keep it fun and beautiful.